Adam Michael has this to say “Cedarwood atlas essential oil is a powerful antiseptic, used particularly for bronchial and urinary tract infections. It is very effective for cystitis and vaginal infections and discharges (always remembering the need for medical investigation to identify the cause). It is mucolytic (i.e, it breaks down mucus) which makes it doubly useful in treating catarrh conditions, especially chronic bronchitis. Cedarwood atlas essential oil is used in skincare as a mild astringent, and its antiseptic properties make it valuable in treating acne. Its “masculine” odour makes it acceptable to young men and boys with acne, who might reject sweeter-smelling oils. It is used in men’s toiletries, especially aftershaves where both the astringent and antiseptic properties are helpful. It is also helpful for dandruff and other scalp problems. However, its popularity as a masculine perfume may be connected with its traditional reputation as an aphrodisiac. It certainly has a tonic and stimulant action on the whole body, while at the same time reducing stress and tension, so there is some foundation for this belief. What would any perfumist do without Cedarwood? There’s a reason this may be the most widely used base note ever: it simply works. 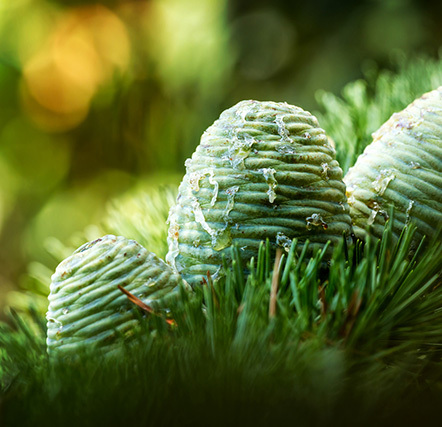 Tenacious, easy to use and blend, versatile, pretty affordable and, most important, able to hold its own as a great scent, having Cedarwood at your organ is a no-brainer. Comparing to my Himalayan Cedarwood from another source, this one seems brighter, rounder and more balsamic, almost stepping into resins’ territory. Beyond its bitter-ish body, I can sniff fairly sweet nuances that appear when it is highly diluted. If you blend it with terpenes, it will sing high and clear hymns to the heavens. This material gives an outstanding backbone to citrus, especially Lemon, and can work as a solid structure for pretty much every style. If you’re not quite sure where you’re going, just start with this Cedarwood Atlas and see what happens from there.